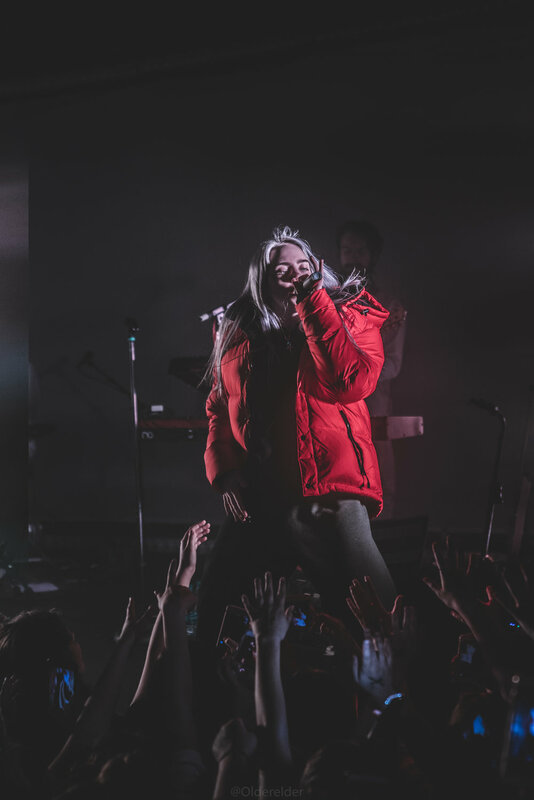 Although she asked multiple times throughout the night how people in this state ever manage to breathe, it was Billie Eilish who took Denver’s breath away on Friday, April 6th. Sixteen year old, California native, Eilish is taking the music world by storm and as she nears the end of her "Where’s My Mind?" tour, she did not disappoint. Performing to a sold out show of ever ecstatic teenagers and the few sets of parents they managed to drag along, Eilish started off as a force to be reckoned with. 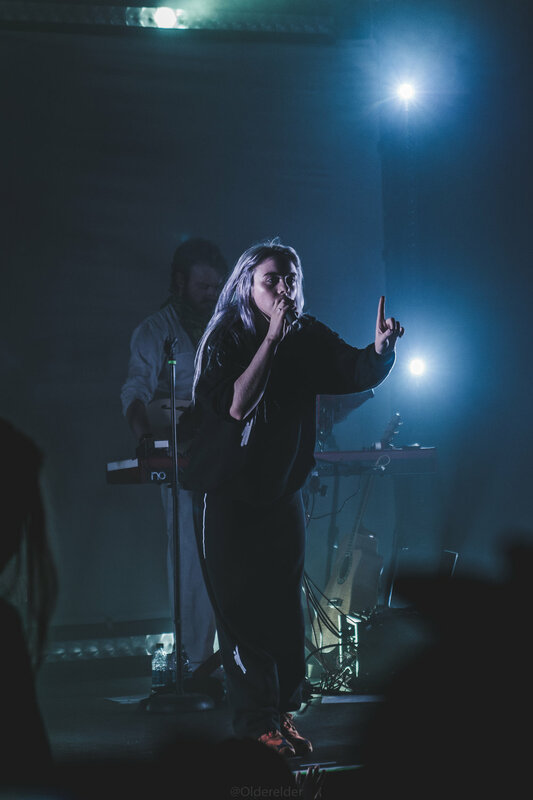 After the release of her debut single, “Ocean Eyes”, In 2016, Eilish became a sound-cloud phenomenon, quickly racking up listens like she’d been around for years. The success of the single spurned an album, "Don’t Smile at Me", that released in August of 2017 and quickly became just as popular, earning her a spot on Apple’s new Artists to watch out for. For the past few months, Billie has been touring to promote the new album and will play shows like Lollapalooza and Bonnaroo in the coming year. 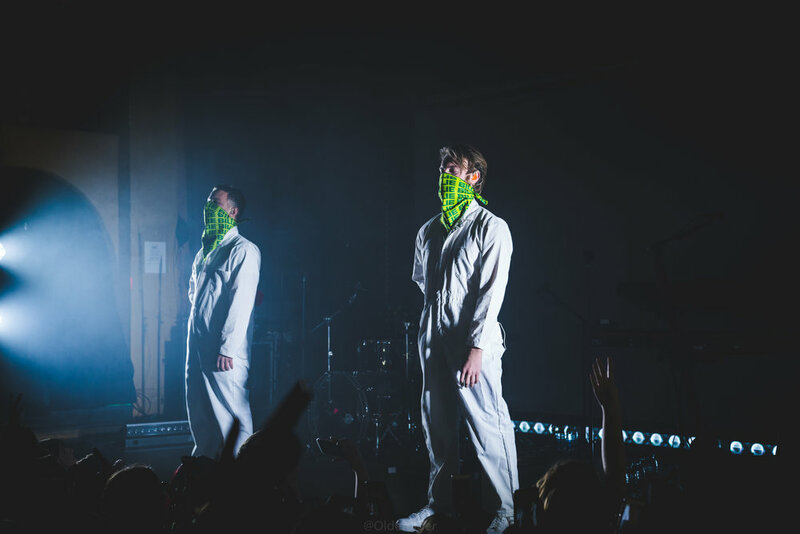 On the particularly cold, April night Eilish came on stage dressed for the weather in a puffy orange down coat and rolling right into one of her more popular songs, “Bellyache”, having everyone in the venue reeling. The audience erupted in immediate whoops and applause, all singing along to the lyrics with perfect accuracy. As the night went on, the mood never waned. It was as if everyone was mesmerized by the energy that Eilish produced, her audience in tune with her every word and move. Excitement hit a high as she pulled her brother, lyricist and guitar player, Finneas, forward to sing a song of his own, lulling everyone into a more mellow and beautiful state only to be awakened again as Eilish rolled forward like a train with boundless energy and a beautiful voice to sing “Ocean Eyes”. As the night nearly came to a close, the silver-haired maven chose to end with a request for everyone in the audience: to take this next song, “Hostage”, to live in the moment with her. To really take the next few moments as they were with no other thoughts or distractions. A heady request coming from a sixteen-year-old girl, but it only goes to show how much Eilish belongs in such a setting. As comfortable as she should be on that stage she pushed a little farther through the night with two more encores and again asking for audience participation for what would be her actual last song. As she sang the chorus to her albums opening track, “COPYCAT”, the audience moved in Unison, getting low to the ground only to jump up together as one at the sign of the song’s drop, shaking the venue with a buzz of moment and excitement at the evenings performance. Eilish is a stunning performer, taking electronic pop music to the next level and it will be a wonder to see what she continues to come up with in the future.